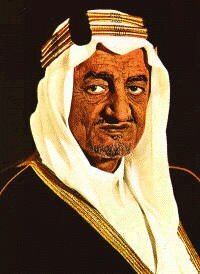 King Faisal was the third King of Saudi Arabia, reigning from 1964 to 1975. In 1925, Faisal, in command of his father’s arms, won a decisive victory in the Hijaz. Faisal became viceroy of the Hijaz, thus extending King Abdul Aziz’s remit to the west of the peninsula. Following the formation of the Kingdom of Saudi Arabia, Faisal was appointed Minister of Foreign Affairs in 1932. Faisal served as Prime Minister under King Saud. In 1964, Faisal was named regent and, a few months later in the same year, became king. Although a great respecter of tradition, King Faisal proved to be a far-sighted innovator. In the course of his reign, Faisal initiated a number of major economic and social development plans. Under Faisal, the industrial development of the Kingdom began in earnest. In foreign policy, King Faisal showed a resolute commitment to the essential interests of the Arab and Islamic world.